It wasn’t the intense heat that proved most difficult for the competitors in SS10 but the navigation. Matthias Walkner was running 3rd at the start of the second leg of the timed special, six-minutes behind the leader. Taking extreme care to find each waypoint, Walkner navigated his way successfully to the finish and was surprised to find himself the first rider home. The Austrian now leads the provisional overall standings by a sizable 39:42 minutes. "What a day. That was such a tough stage, not only because of the heat but because of the navigation, too," said Walkner after the stage. "I knew today how important it would be to bide my time and concentrate on finding each waypoint successfully. Better to spend a few seconds getting things right than pushing on, wasting a lot more time after getting lost." "When the tracks from the guys in front disappeared, I got a little worried that I had made a mistake, but I carried on and trusted myself. It was a big relief when I saw the waypoint validated and I reached the finish. It’s always good to take a stage win, but never nice when one of your opponents crashes out. I hope Adrien Van Beveren is ok."
Toby Price and Antoine Meo, were in the leading group of three at the mid-way service. Unfortunately, as is often the case when following other riders, navigation becomes more difficult and mistakes are easier to make. Forced to turn around and retrace their steps, Price and Meo eventually re-joined the correct route and made it to the finish. "The first part of the stage went really well for me today, I was opening the road but my pace was good and I was happy with how things were going," said Meo. "After refuelling I was following Benavides and riding in his dust. We ended up making a mistake with one of the final waypoints and ended up way off course. The helicopter guided us back to the route, but we lost so much time. It’s disappointing, but we got to the finish in one piece which is the most important thing. 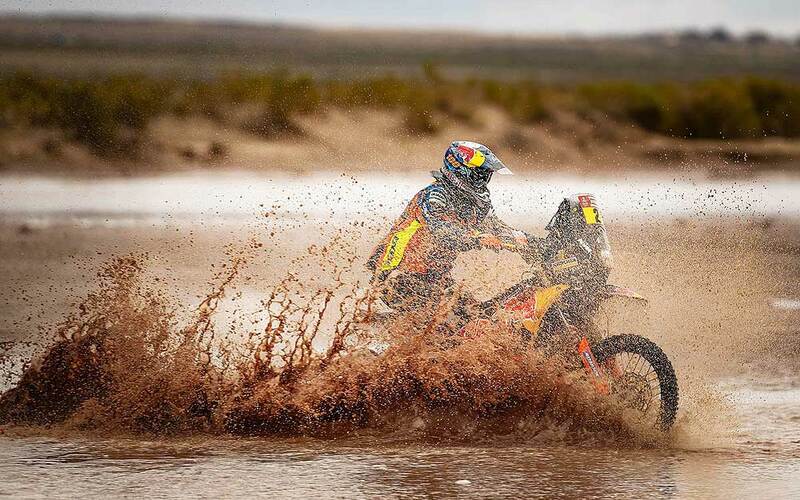 I’ll keep on pushing for the remaining stages because anything can happen at the Dakar." An early crash slowed Laia Sanz’ pace at the beginning of SS10. Despite her navigation equipment being damaged, she rode on, taking more care to make each waypoint successfully and minimise the risk of any further mistakes. Her diligence paid off and Laia completed the final part of the timed special without incident, finishing in a very strong 11th place. "My day started off pretty bad – I had a crash early on and damaged my trip computer," she told in the camp. "From then on it was very difficult to navigate and find the waypoints. I had to really ease off on my pace in order to not have an accident. On the second leg of the stage my navigation was really good and so in the end it wasn’t such a bad day after all. I placed 11th at the finish which puts me in a really good start position for Wednesday." 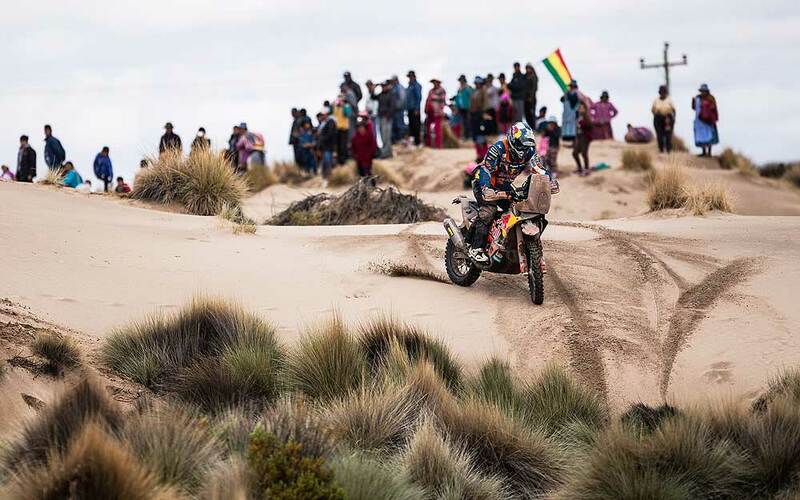 Laia’s KTM Factory Racing team-mate, Luciano Benavides was forced to retire from the rally after a crash on the first part of the timed stage. The Argentinian, injuring his back in the incident, was airlifted to hospital for further checks.